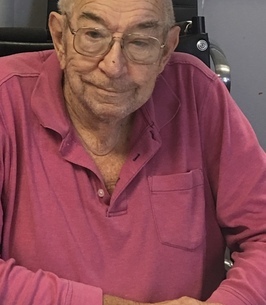 Calvin Eugene Gentry, 80, of White passed away on Thursday, November 22, 2018 at Maple Ridge Health Care Center. Born in Cartersville on September 19, 1938 he was the son of the late Eugene Gentry and the late Alma Cornwell Gentry. Calvin enjoyed working with his hands and metal fabricating projects. He liked traveling and seeing new places but he especially loved getting together and spending time with family and friends. Survivors include his wife, Mary Gentry; his children, Phyllis Gentry, Robbie Paige, Jimmy Popham , and Darlene Woodall; his grandchildren, Jimmy Popham Jr., Rebecca Paige, Chase Paige, Clinton Woodall, and April Howard; and ten great grandchildren. Memorial services will be held at 2:00 p.m. on Sunday, December 2, 2018 at Pleasant Olive Baptist Church in Rydal. The family will receive friends from 6:00-8:00 p.m. on Saturday, December 1, 2018 at Parnick Jennings Funeral Home and Cremation Services. Parnick Jennings Funeral Home and Cremation Services is honored to serve the family of Calvin Gentry; please visit www.parnickjenningsfuneral.com to share memories or to leave a condolence message. To send flowers to the family of Calvin Gentry, please visit our Heartfelt Sympathies Store. Loved Uncle Calvin, he was very kind to me and my family. He will be missed!! Praying for the family!! Love you all ! !